Although born and raised in Uruguay, new Arsenal midfielder Lucas Torreira progressed through the ranks at Italian side Pescara after moving to Europe at the age of 17. He broke into the first team within a year, featuring for the club in the Serie B promotion playoffs, before Sampdoria swooped – although the Genoa club immediately loaned the still teenage Torreira back to Pescara for another season of important first-team development. It proved mutually beneficial, as the club secured promotion to Serie A through the playoffs. Torreira subsequently spent two full seasons as Sampdoria’s first-choice defensive midfielder in Serie A. He may not be known primarily for his goalscoring attributes, but he still provided a handful of important strikes during the 2017/18 season – including a superbly struck effort in Sampdoria’s 3-2 victory over reigning champions Juventus. Still only 22, Torreira has won eight caps for his native Uruguay, with five of those coming at the recent World Cup in Russia. A couple of impressive substitute appearances, coupled with a change in formation from head coach Oscar Tabarez, saw Torreira break into the starting XI at the base of a diamond in midfield. 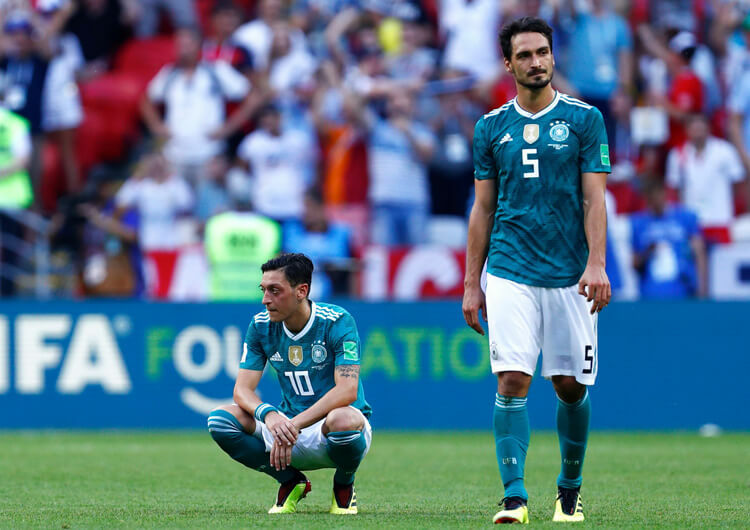 He played a full 90 minutes in the last-16 victory over Portugal and the quarter-final defeat to France, soon after which news of his £26.4m move to north London was announced. He will wear the Arsenal number 11 shirt previously worn by Marc Overmars, Sylvain Wiltord, Robin van Persie and, most recently, Mesut Ozil. When in possession, Torreira is a strong distributor on his right side, and he is most effective when playing forwards through multiple lines of the opposition (above). His splitting passes can disrupt an entire midfield with pinpoint accuracy. However, he does lack the ability to play repeated short passes – in the style of an Andrea Pirlo or Sergio Busquets – in order to control the tempo and rhythm of a match. His strengths are far more suited to direct possession, rather than sustaining lengthy periods with the ball. This mentality is effective when chasing the game or looking to score the first goal, but issues may arise when his new side is looking to maintain possession as a defensive strategy, or simply aiming to build more patient attacks. He can also occasionally be guilty of holding on to the ball for too long; if so, he is easily pressed or counter-pressed by his direct opponents in central midfield (below). As a defensive midfielder, Torreira’s ball-winning abilities can be effective, particularly in a high-pressing team rather than one that operates with a low block. The closer Torreira gets to his own goal, the less effective his ball-winning becomes; he can be beaten in front of goal with dragging movements from attackers, as he struggles to turn and change direction quickly. That said, his typically tenacious South American attitude is evident when trying to regain possession. Even if he is beaten, Torreira will do his utmost to work back, ensuring attacking progress from the opposition is minimal. This quality is also evident during defensive transitions – similar to Chelsea star N’Golo Kante, his pressing during moments of transition can be both intelligent and effective. Curving his pressing movements not only puts extra pressure on the ball carrier; it also reduces the options for opponents to pass their way out of trouble. It will be interesting to see whether new boss Unai Emery looks to utilise an aggressive pressing approach. Torreira is not a regular goalscorer, as mentioned above, but he can pop up with crucial goals in important matches. He possesses an outrageously powerful strike; if given time and space, he can punish teams from distance (below). Torreira’s first battle will be to dislodge Granit Xhaka from the likely lone defensive midfield position. It is highly anticipated that Arsenal head coach Emery will deploy a single defensive midfielder, with Torreira and Xhaka the obvious candidates to be used extensively over a long season – but Torreira will hope to become first choice sooner rather than later. 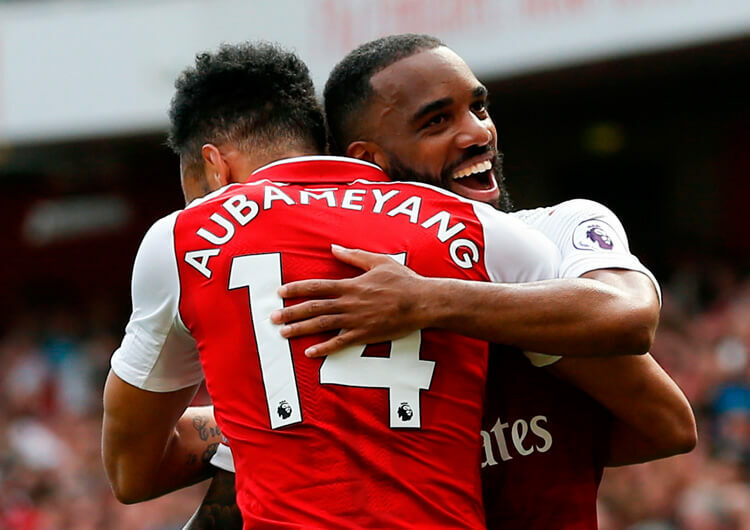 If Arsenal decide to deploy a double pivot with two defensive midfielders, the pair’s similar traits could spell trouble. 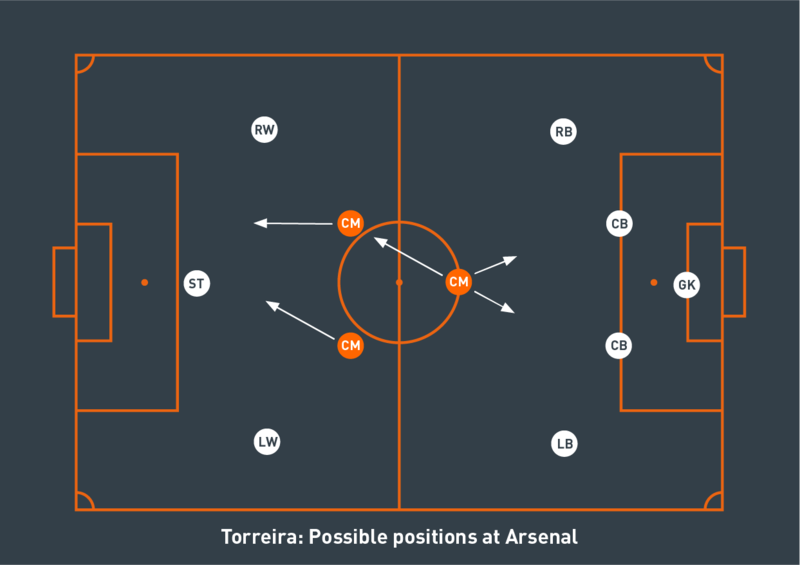 Both Torreira and Xhaka like to leave the security of the central lane when defending, but the main focus of defensive midfielders when out of possession is to protect the central areas immediately in front of the central defenders. Work on the training ground will be required if Emery wants to create a solid working relationship between the two. The Emirates’ faithful have spent two decades watching Arsene Wenger teams dominate possession, and it will be fascinating to see if Emery sets his side up to do likewise. If so, Torreira will need work on the supporting movements and angles needed to consistently link midfield and defence when building from deep. He currently lacks the ability to dictate the central rhythm, but at 22 time is on his side – with more experience and effective coaching, he can certainly mould his game to fit this role. One final area in which Arsenal should flourish with the addition of Torreira is during transitions. His splitting passes from deep will be crucial during counter-attacking moments, as he looks to find the pace and attacking qualities of Pierre-Emerick Aubameyang, Alexandre Lacazette and Henrikh Mkhitaryan with early and accurate forward passes. 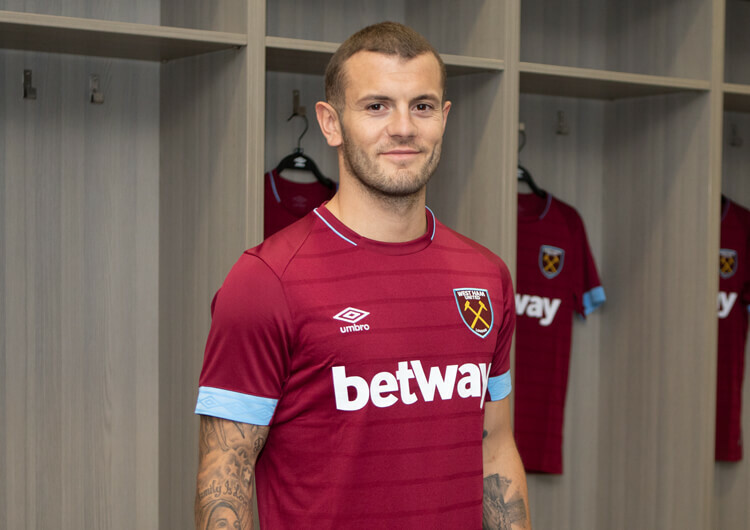 Mesut Ozil has inherited his number 10 shirt at Arsenal, but can Jack Wilshere finally fulfil his huge potential in the number 19 shirt of new club West Ham United?